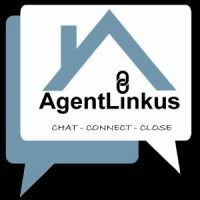 Consider AgentLinkus a FREE concierge service for Buyers and Sellers. We are Agents ourselves, and are very well connected with Real Estate Agents throughout the United States. We find out what you have to Buy or Sell, and we check out database of Agents and locate the ones that are best equipped to handle your transaction. We are here to help you, whether you are looking to buy or sell. Our service is Free, we do not charge you for locating your Real Estate Agent. Consider us your Real Estate concierge. We are Principal Brokers, who absolutely love the business of Real Estate. We have a network of over 50,000 Real Estate Agents throughout the Nation! We know the right questions to ask a potential Real Estate Agent, so we are uniquely qualified to help you locate the best Agent for your situation. We are connected with some of the most productive and brilliant Real Estate Agents in the United States. We want to remove the guesswork out of finding a quality Real Estate Agent. We know how important it is to find a local expert with in-depth understanding of the local real estate market, who has the experience to make your transaction comfortable. We partner with all brokerages large or small. We do not discriminate between franchises and independent brokerages. Our goal is to link you to the best agent for the job. We want someone eager for your business and equipped to make your real estate transaction more enjoyable. We will confirm receipt of your request for help in locating a local Real Estate Agent. We will determine how we can best assist you with your unique situation. We will email you a list of interview questions to assist in selecting the best Real Estate Agent. We will match you with a local Real Estate Agent(s). You will receive contact from local Real Estate Agent(s). We will follow up to make sure you are satisfied, and to ask you to rate the services provided.